My favorite cookbooks are always the most literary ones. Don't just throw your recipes at me; seduce me first. I want to know where you're coming from, what you're about. I want to know what you always have in your pantry, what you can't resist at the market, and your idea of the perfect meal or midnight snack. I want to get to know you, then I want your recipes. This cookbook follows that premise as well as any I own. 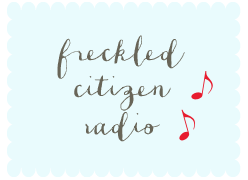 I was initially introduced to the unlikely pairing of Edna Lewis and Scott Peacock via Cornbread Nation 1, and promptly started running across their names on a weekly basis, everywhere I looked. I adore the spell of this cookbook: Peacock's gentle way of writing about "Miss Lewis," the careful delineations of Virginia v. Alabama heritage, and the really lovely presentation of food that is as graceful as it is down-home. 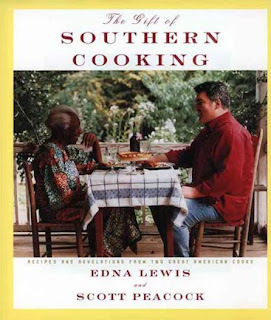 For a taste of the tour de force behind this book (Edna Lewis is a legend in her own right, most notably for The Taste of Country Cooking), read this evocative essay published posthumously in Gourmet in 2008, "What is Southern?" A few minutes into Miss Lewis' "Southern is..." statements, and you'll be daydreaming about strolling along a green country road with a glass of sweet tea waiting for you on a porch across the creek. For instance. I would like to decorate an entire room around this lampshade. I'm thrilled that we're about to be bamboozled by fresh brussels sprouts. Show me someone who thinks they don't like brussels sprouts and I'll bet you they've only eaten them boiled and overcooked. Ugh! The real beauty of brussels sprouts comes out when they're roasted. My favorite way to cook brussels sprouts - which is also the easiest technique I know - is a rift on this Barefoot Contessa recipe. Mix the sprouts with olive oil, kosher salt, and black pepper, throw them in the oven, and leave them there until they start to get charred and crispy. Oh, you want them fancier? Okay, then: throw chestnuts, pancetta, golden raisins, or walnuts into the dish for roasting. Or top the just-roasted sprouts with squirts of lemon or freshly grated parmigiana. Easy. Done. And delicious. Don't believe me? Talk to my sister and mother, who both told me they didn't like sprouts until I cooked them my way a few weeks ago. Guess who's lining up for brussels sprouts this weekend at the NC Farmers Market? Hmmm? Enough talk - go get your sprouts on, people! You know my feelings on brussels, nom nom nom! I have been tossing them on top of some mache with a blasamic glaze for my lunch salad, and think next batch is going to be drizzled with said glaze before they are roasted. So- Scott Peacock stayed at our beach house for a week while visiting the Seaside Institute. It was right before my honeymoon. I was hoping that upon Hubs and I's arrival to the beach house it would be stocked with delicious meals in the freezer. No such luck. But there was an autographed cookbook waiting for me! I was actually just looking at this cookbook in Broders last night! I'm glad to hear you love it. I may just have to go back and pick it up. ORRRRRRRRRRRR maybe I could bring over some wine and we could pig out on food from it together? Samma you are KILLING me lately with all your amazing Southern chef hookups! And MM, bring. it. on. ! 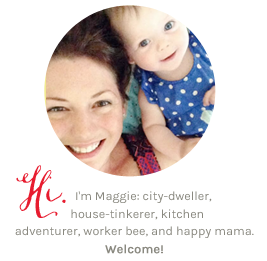 Our family foodie friend who arranged the stay thought my reaction to it was hilarious. She and my mom called to tell Scott was staying at the Beach Barn. I started squealing like a 12 year old at a Justin Timberlake concert (or the Jonas Brothers, or whatever tweens are into). This was around the same time my parents were hanging out with Julia Reed through that family friend. I was frothing with jealousy. I love brussel sprouts! I usually roast them like you do or I'll steam them briefly then saute them with some shallots and then deglaze the pan with balsamic. Have you tried the cream-braised brussel sprout recipe from Orangette? Seriously amazing. Brussel sprouts are dope. Mom used to boil them - roasted is totally the way to go. I never knew they came on a stalk until recently, though. Strange looking things... but so yummy! omg. 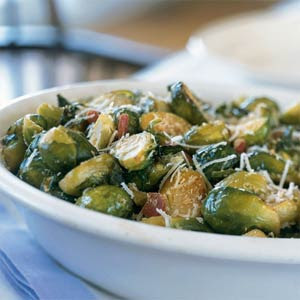 I´m a total rando but that BFC brussels sprout recipe is my favorite! I make it for my boyfriend and I all the time! If you have leftovers mix them with pasta (I like squiglies that are about as long as penne) and add crumbled feta cheese to the warm pasta. Then eat the pasta cold or hot and it is amazing! I tried brussels sprouts for the first time this weekend and LOVED them. I have to say, I was skeptical. All I usually hear about them are childhood stories of being forced to eat them. But now? I'm a fan. Definitely going to try your recipe. I would just like to thank YOU for me know loving brussel sprouts. My aversion was not the typical "hated them when I was a kid". Instead it was the fear of the unknown. It seemed my parents never made them because they assumed we wouldn't like them - how wrong! My boyfriend tried to turn me onto them by putting them on the grill with some olive oil. They were good, but weren't quite there yet. Until I tried your suggestion. Tossed with oil, salt and pepper. Mixed with pancetta and parmigiana. HEAVEN! Thank you! I declared at Thanksgiving that brussel sprouts must be on our Christmas dinner menu! Now THAT is a brussels sprouts success story, Brigid!